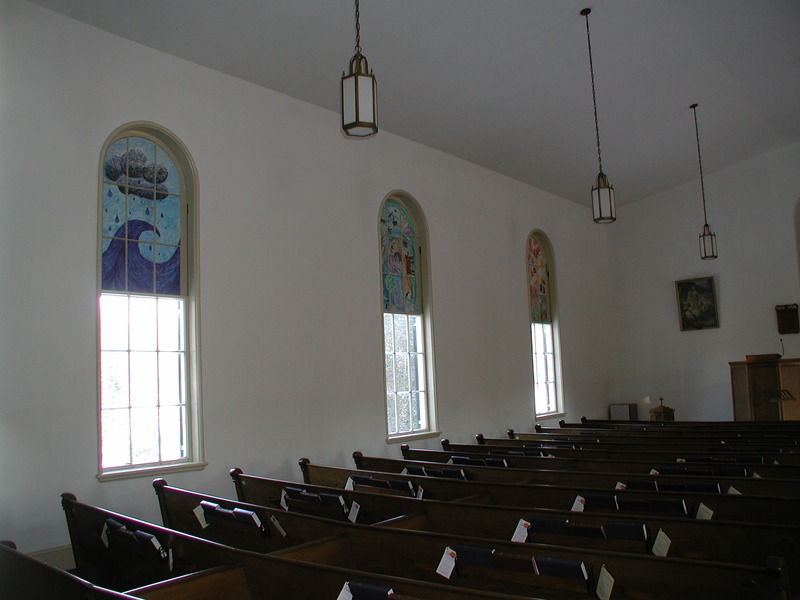 The top half of the six large windows in our sanctuary was covered with peeling contact paper on the inside, and louvered shutters on the outside. 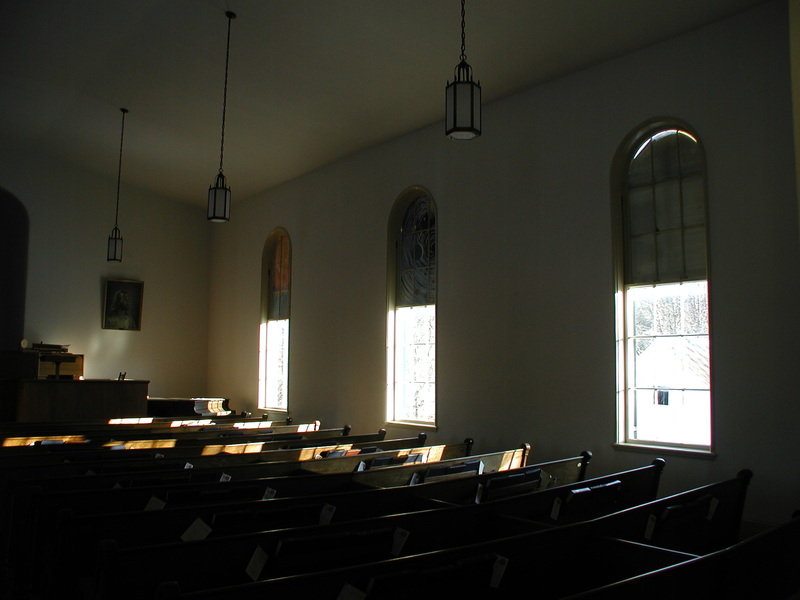 Each window has nine panes. For better appearance and some insulation I installed foam-core board. It worked fine, but tended to bend when wet on one side from condensation and dry on the other. 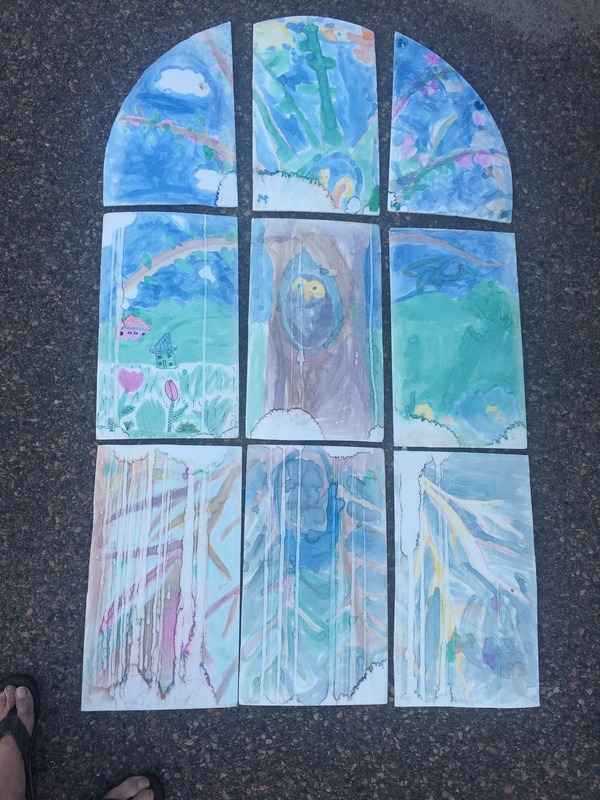 (Later I found expanded polystyrene board that was a reasonable insulator, waterproof, and a good painting surface But we have never painted any of it.) 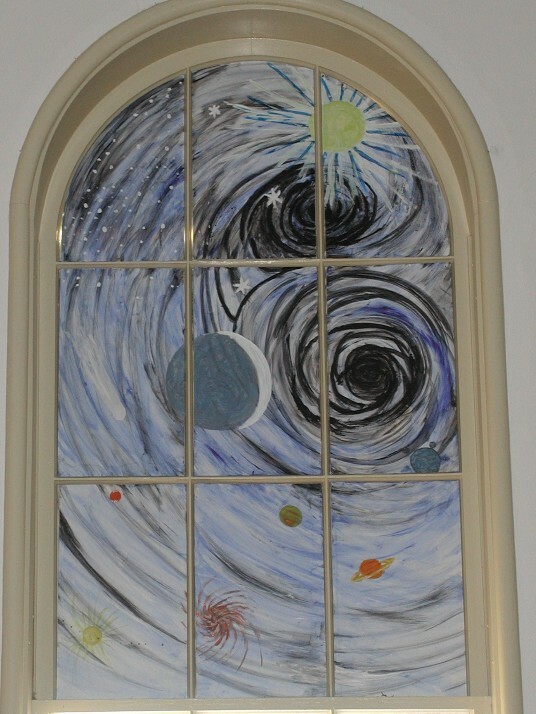 From the choir, I imagined the six windows (the covered top nine panes, over the lower nine clear panes) as the six days of Creation. 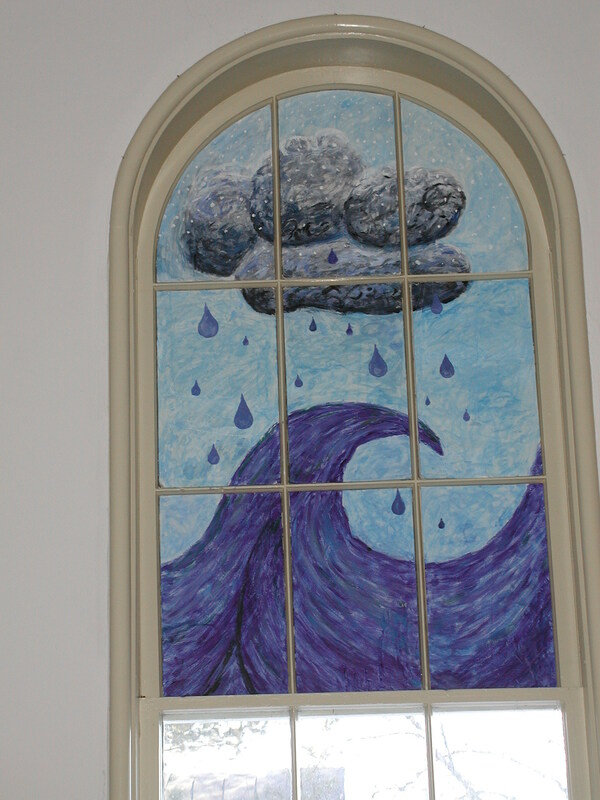 I built a window mock-up to hold nine panes, and painted the Water day for my daughter’s baptism. 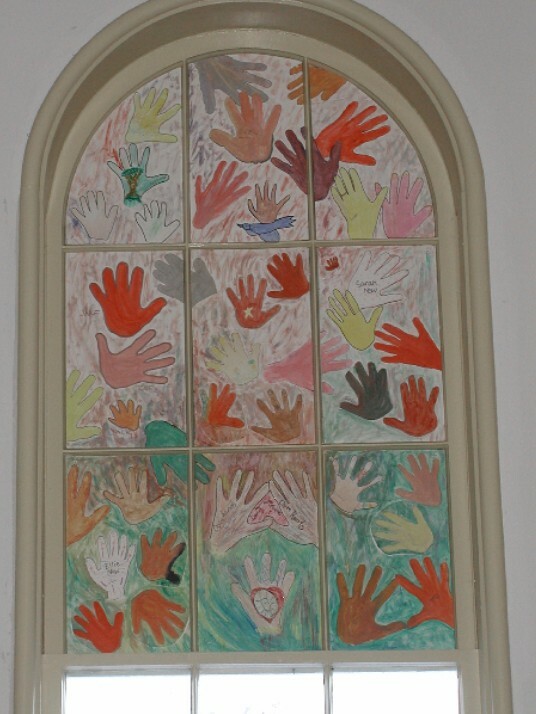 I then recruited the congregation to provide hand-prints for the creation of Mankind on the sixth day. 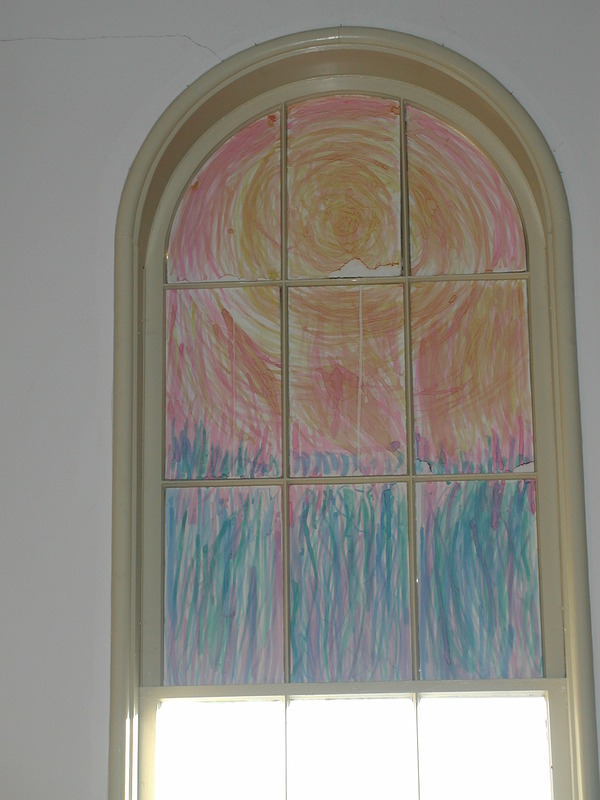 Finally, I had the Sunday School kids paint their ideas for the remaining four. 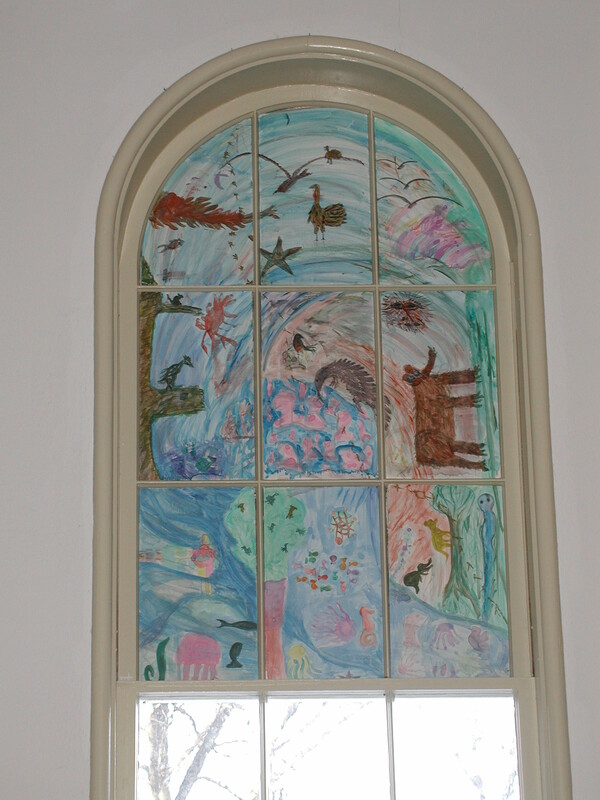 This project gave me a glimmer of what an artist encounters doing large works in sacred spaces. Yeah- photo of “Plants” day in place is missing- the panels were damaged before I photographed them. So below is a photo of the damaged panel in the parking lot. The panels were held with Velcro, making them easy to take down. The Church decided they wanted plain white in the long run.